Re-Match is a new feature designed to reduce wait times and congestion at the airport. When you drop off a passenger, you may now immediately receive a trip request from a new rider. To take the trip, simply accept and head to the pickup location. To qualify, partners must complete a dropoff at the airport. If you are in the terminal and do not receive a request after a few moments, it means there was no pickup available and you need to leave the terminal. Please note you cannot stay in the terminal to wait for a re-match trip, as waiting curbside is against airport regulations. As long as you are on the Airport Expressway, you will still be eligible to get a Re-Match if there is a pickup available. If you do not receive a Re-Match trip, you can still choose to head to the holding lot to wait in the FIFO queue for an airport request only if your vehicle meets the MPG restriction. The FIFO queue is still restricted to partners that meet a minimum of 45 MPG. If you do receive a re-match trip, the airport asks that you circle through the terminal using the Airport Expressway to reach the pickup location on the 3rd floor of the parking garage. In just 2 days, close to a thousand drivers have been able to pick up a rider for the first time—reducing overall deadheading (a trip without a passenger) by approximately 20%. Wait times for riders on re-matched trips are about 40% shorter than trips originating from the holding lot. This has decreased the overall average wait times for riders at the airport by approximately 20%. While wait times for drivers in the FIFO queue at the airport lot have increased by about 10%, overall waiting for drivers has remained essentially flat when you factor in the minimal wait times for those who are re-matched. Q: My car does not meet 45 MPG—does this mean I can pick up riders at Sea-Tac Airport at any time? A: Only drivers who meet the 45 MPG or above minimum will have access to use the airport’s holding lot. However, under the conditions of the Re-Match pilot, cars that do not meet the MPG restriction will be able to pick up if they receive a re-match trip after completing an airport dropoff. Q: Can I just drive to the terminal to qualify for Re-Match? A: Partners will only be eligible for Re-Match after dropping off at the airport. Q: Does Re-Match increase my wait time in the Holding Lot? During peak dropoffs, wait times may increase. However, Re-Match usually reduces the number of cars in the FIFO queue such that overall wait times generally remain about the same as before. Q: What is the fastest way to go from Departures to the pickup location? 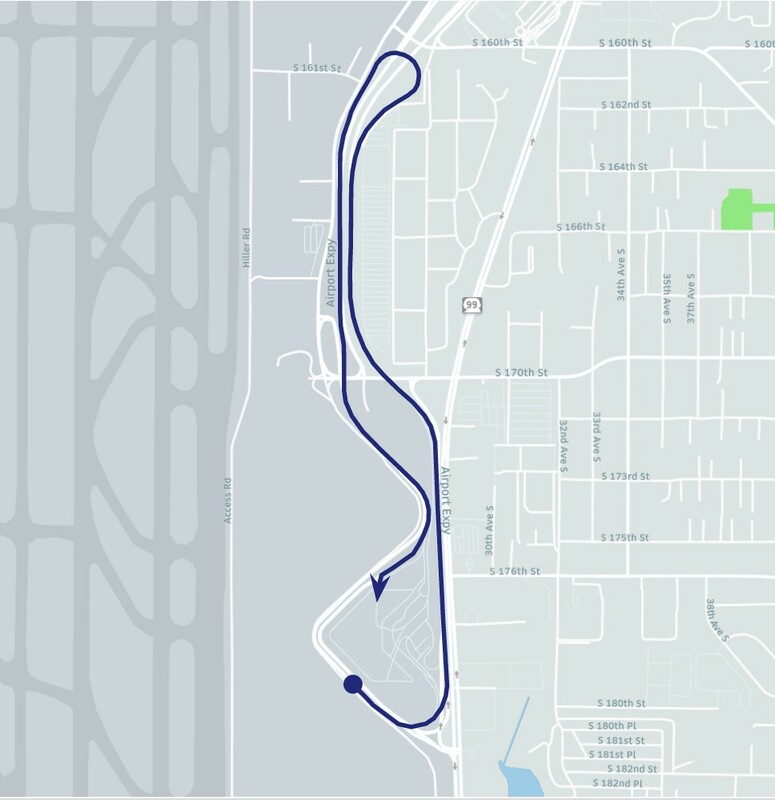 Sea-Tac Airport has requested that drivers use the Airport Expressway and the return-to-terminal loops to reach the pickup locations. Please do not exit on 170th Street as those intersections can become very congested. See the recommended route here. Q: How can I learn more about Re-Match? You can learn more about the Re-Match program by listening to this podcast.